The last decades of the Roman Republic were dominated by the ambitions and machinations of three figures: Cn. Pompieus Strabo Magnus (Pompey), M. Licinius Crassus, and C. Julius Caesar. Any examination of the period from 70 to 44 BC inevitably hinges on one, two, or all three of these men at any given time, and therefore their biographies become essential to the student of the period. In their attempts to reveal and evaluate the lives of these figures, Robin Seager’s Pompey the Great: A Political Biography, Allen M. Ward’s Marcus Crassus and the Late Roman Republic, and Richard A. Billows’ Julius Caesar: The Colossus of Rome, present the reader with both the best and worst of the art of historical biography. Robin Seager makes no bones about his intent with his Pompey the Great: A Political Biography, stating in his preface that “the subtitle of the present work is intended to warn the reader to expect no treatment of the detail of Pompeius’ wars and no estimate of him as a commander,” and indeed, the following sixteen chapters give only the briefest treatment of Pompey’s military career. Seager begins with a brief introduction giving an overview of Roman political history from 133 – 79 BC, and begins his biography proper with the career and death of Pompey’s father, Cn. Pompeius Strabo senior. He then proceeds chronologically through Pompey’s life, paralleling political events in Rome with Pompey’s overseas dispositions, paying particular attention in both cases to Pompey’s time in the East from 66 – 62 BC. Seager presents a portrait of Pompey as a man of overweening ambition and political acumen, whose desire for public recognition from the Senate as the traditional ruling body of the Republic was both in opposition to his life-long willingness to stretch the unwritten Roman constitution and traditions, the mos maiorum, to the breaking point, and yet also functioned as a restraint on that same ambition. As Seager concludes, “[Pompey’s] eagerness for honors to be granted him willingly had compelled him to acknowledge the right of the senate and people to deny him if they chose. 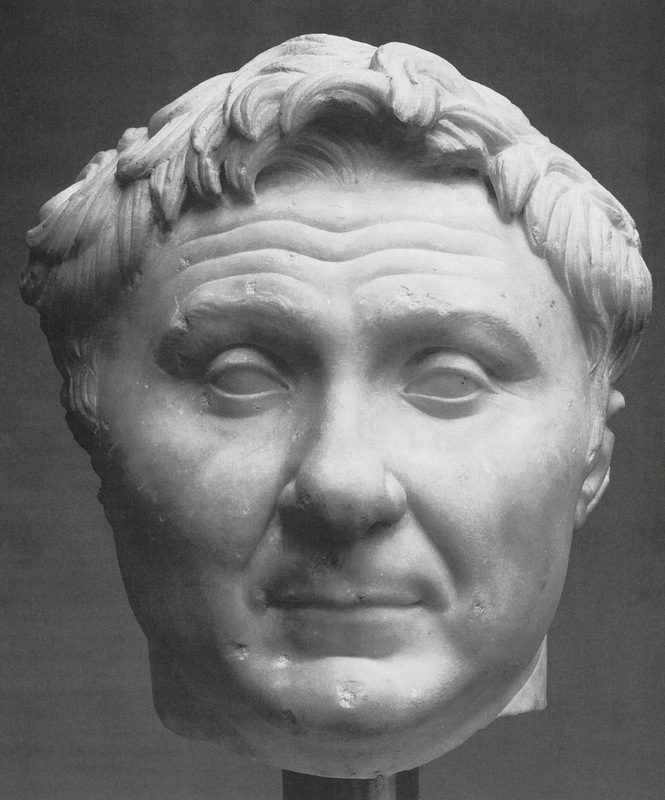 He had wanted to be the dominant figure in the senate, but in a senate that was still the ruler of Rome… Pompeius then did not want to destroy the republic.” Seager places the blame for that squarely on Caesar’s shoulders, but does not neglect to point out that Pompey’s own actions did little or nothing to preserve the system he so desperately sought command of and approval from. Allen M. Ward presents the reader with another political biography with his Marcus Crassus and the Late Roman Republic. Here again, Crassus’ military career is only briefly described, and his final, fatal campaign against the Parthians almost not at all. 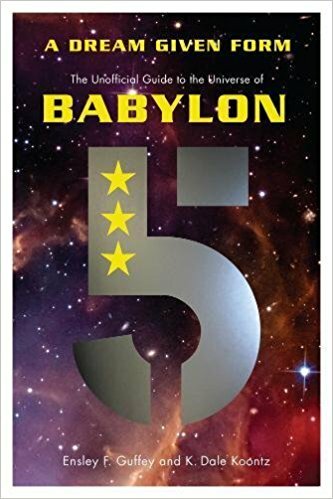 Ward too devotes his first chapter to setting the historical scene, and uses chapter appendices to this and chapters VIII and IX to provide the reader with detailed prosopographical data which serves to illuminate his research process and the conclusions reached in the chapters themselves. These appendices strike a nice balance between relying on overly long footnotes and the traditional consignment of the appendices to the back of the book, and serve well in providing the reader with further information without bogging down the primary narrative, which proceeds in chronological order from the scarce sources surrounding Crassus’ birth ca.115 BC to his defeat and death at Carrhae in 53 BC. Ward is particularly painstaking in his analysis of the known political and legislative events in Rome with an eye to discovering the probable prime movers behind various proposed laws, prosecutions, defenses, speeches, and other public performances in Rome during Crassus’ career. Ward presents Crassus as something of a moderate optimate; an inherently conservative politician who was nonetheless generally amenable to compromise when possible, and who “often tended towards the via media,” the middle road. Richard A. Billows’ Julius Caesar: the Colossus of Rome, is part of Routledge’s Roman Imperial Biographies series, and proves to be a readable and concise addition to the many biographies of Caesar. Billows begins with a prologue that also serves as a bibliographic essay with an emphasis on works which challenge the traditional interpretations, and which Billows, while not necessarily in agreement with them, credits as valuable lenses for providing fresh perspectives on his subject. Billows also provides historical background and context in his first chapter, devoting fully a fifth of his text to the history of Rome and Italy in the second century BC, before proceeding chronologically through Caesar’s life, with the exception of chapter VIII: “Caesar’s Place in Roman Literature and Culture,” a thematic interlude placed between the flight northward of the tribunes M. Antonius and Q. Cassius in late 50, and the crossing of the Rubicon in early 49. Billows’ Caesar is a popularis through and through, becoming the central figure in a movement that Billows sees as springing from, and directly connected with the Marian and Cinnan movement of the 80s BC. He also fixes Caesar as the lynchpin in what Ronald Syme has termed the “Roman Revolution,” and his associates and followers as the power behind it both during Caesar’s life, and beyond. Taken together, these three biographies provide an uneven look at the three men who comprised what historians refer to as the First Triumvirate. Ward is working from the fewest sources, and thus is necessarily the most reliant on prosopographic and legislative analysis. Though he is careful to acknowledge the problems inherent in this approach, his analyses are impressive, and more often than not, convincing. He also provides a valuable counterpoint to the traditional portrayal of Crassus as a paragon of ruthless greed, pointing out that both Pompey and Caesar became far wealthier than Crassus, yet were not condemned for their wealth due to the way in which they acquired it: by conquest. Crassus, who made his money through business deals and speculation which were considered beneath the Roman nobility, “became the subject of a hostile literary tradition that was set by his political enemies, who scorned the methods Crassus adopted…” Nonetheless, due to the paucity of source material, and the fact that Crassus seems to have often preferred to work behind the scenes rather than openly on the public stage, makes Ward’s efforts, even at their best, more speculative than not. Seager confronts similar problems, and handles them poorly. His political and legislative analysis often seems to be naïve, as when he states that the assignment of the forests and cow-paths of Italy as the provinces of the consuls of 59 was not a move by the optimates in the senate to curtail Caesar’s growing power and ambition by denying him the prospect of a foreign war. According to Seager, “at the time when the allocation [of provinces] was made… Caesar had not yet been elected, and even if the optimates had already felt certain that he was bound to take one place, they would not have wanted to rob their own candidate Bibulus of a proper command.” To suggest that the optimates, no strangers to the realities of Roman politics, could not foresee that Caesar, who had won election to every magistracy on the cursus honorum up to the praetorship in the first year he was eligible, and whose status, wealth, and political power had only increased during his propraetorian command in Spain, was almost certain to secure the consulship, is bordering on the absurd. Seager’s greatest fault, and one shared with Ward, is his choice to largely omit any examination of Pompey’s military career. The distinction between civil and military power in ancient Rome was nonexistent, and each affected the other profoundly. In the case of Pompey, his entire political career was predicated on his military activities, and largely consisted in repeated attempts to secure special commands, and with them, praise and power in Rome. It is not going too far to say that without his military achievements and ambitions, Pompey would have had no political career, or if he had it would have been a far different, likely much less pivotal one. In a very real way Seager gives the reader half a man, and half the story. Ward too fails to detail Crassus’s military career, though he does slightly better than Seager with his discussions of Crassus’ service during Sulla’s civil war, though Crassus’ role in the victory of the Battle of the Colline Gate in 82 BC does not receive nearly the attention which it deserves, nor does his successful campaign against Spartacus in 72/1. 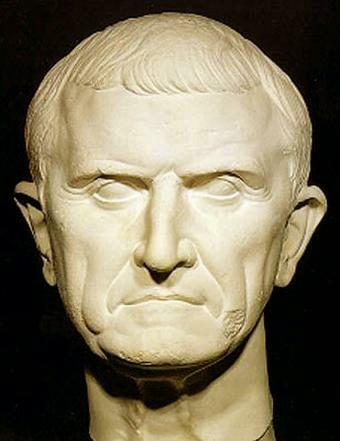 Most unfortunately, however, Ward chooses not to detail Crassus campaign leading up to Carrhae at all, thus omitting the vital ending to Crassus’ tale. Again the choice to focus on the political at the complete expense of the military, particularly when examining Roman statesmen, proves to be a grave error. Billows, does not fall into this trap, and combines astute political analysis—though not, perhaps, at the level offered by Ward—with a thorough understanding of the importance of Caesar’s military career to the man and his life as a whole. Billows does an excellent job of covering Caesar’s campaigns in Gaul, and the Civil War against Pompey while also tying these campaigns into the larger picture of Caesar as statesman. Indeed, over all, Billows’ work is of high quality, and made even more impressive for being so complete within the space of some 263 pages. The one place where he stumbles is in the thematic chapter VIII, mentioned above. 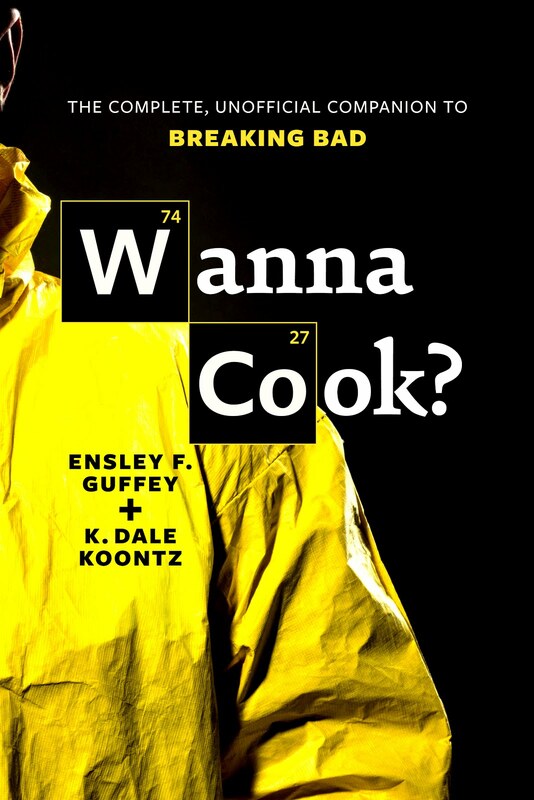 Though it provides valuable information, it is oddly placed within the narrative, and disrupts the heretofore chronological structure of the historical narrative to no truly good end. This chapter might have been of better service as an appendix, or even woven into the primary narrative as part of Caesar’s life in the 60s BC. Another glaring weak point lies in Billows claim that the young Octavian was to have served as Caesar’s Master of the Horse during the Parthian campaign planned for 44/3, a claim for which Billows presents no source or argument, and which the present reviewer’s research turned up no evidence. These oddities aside, Billows provides the best of the three biographies reviewed here, and certainly one of the best resources for a student of the period, combining his bibliographic prologue with a standard bibliographic list at the end of the text. Though each of the biographies reviewed here has its strengths, neither separately nor together do they provide a complete picture of the First Triumvirs, or of their time. At best they provide a starting point for further research, and a general overview of the period from which to begin such research. There is still much to learn, and one hopes many more biographies on all three of these men to come.